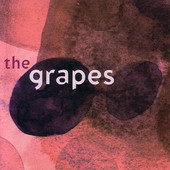 The Grapes’ self-titled debut album is an indelible Australian pop classic of 1999. Sherry Rich and Ashley Naylor, two cult heroes from the country-pop and rock’n’roll ends of Melbourne’s musical underground, were thrown together on a hunch by Rubber Records’ David Vodicka. Their effortless meeting of hearts and harmony was a chance encounter with shared roots decades deep in the beat pop innocence of mid ’60s jangle and the timeless sob and sigh of the great country singer-songwriter tradition. Between the psychedelic Beatle-boot stomp of “Head of Blue” and the hardbitten Nashville duet of “So You Say You Lost Your Baby”; the lost Bee Gees jewel “Kitty Can” and the languid loveliness of “Je M’apelle”, a small but perfectly formed masterpiece was born. Each singer-songwriter has since followed their own path to individual glories from Even to the Mudcakes and Paul Kelly’s band to solo albums of rare craft and lustre. In music, some of the best surprises arrive at your door unannounced. Like the self-titled debut album from The Grapes (Rubber Records/BMG), who don’t have any of the hype of the big names but more good songs than most of them can dream about. It’s a record that takes time to work its magic but has become one of the most-played CDs at my place in the past month. The Grapes are a Melbourne duo featuring Ashley Naylor, who plays in rock outfit Even and was a co-writer with Stephen Cummings on this year’s Spiritual Bum, and Sherry Rich, who has done some Nashville songwriting and recorded a debut album with members of Wilco. The ’60s, as anyone who has followed his work with Rail and Even, is the prime inspiration for Naylor. The band’s name gives a hint of that, since The Grapes was the name of the pub across the road from the Cavern Club in Liverpool where The Beatles played in their pre-Fab years, and a gathering point for music fans looking for a drink after watching their young heroes in the unlicensed Cavern. Despite the title of Keith Richards’ Sneer, the song has a Beatles-circa-Revolver flavour, but that’s just one reference point. There is a version of The Bee Gees’ Kitty Can, a reminder that as young men the brothers Gibb were indeed fine pop-rock songwriters, despite their later defection to the mirror ball. The other cover is from the pen of Gene Clark, So You Say You Lost Your Baby, and the fringed-jacket-and-desert-boots inspiration of The Byrds at their finest is seldom far from the surface of the other tracks. It is the mix of Rich’s country influences and Naylor’s rock’n’roll that gives The Grapes their distinctive flavour, evident from the gorgeous descending riff of I Won’t Cry, which takes its cue as much from Motown and ’60s garage rock as it does from Roger McGuinn’s jangling Rickenbacker. Says Naylor: “I love the spirit of the ’60s, an era of discovery with people mixing folk and rock with rhythm and blues. It was a time when music was held in much higher regard by the masses and there seemed to be a magical aspect to rock’n’roll. The Grapes was recorded “in 10 hours over two years” whenever the dollars and other commitments allowed, with sessions in Los Angeles and Nashville as well as in Melbourne home studios. Naylor admits he enjoyed the fact they played all the instruments themselves: “There are less egos to crush. Sometimes in a band you feel more like a politician than a musician. Which is how most great records are made anyway, for pure enjoyment, rather than sitting around discussing if this direction is the next big thing or if that song will get played on Triple J. The result is a wonderful record, and any fans of rock’s finest moments looking for something to do with their Christmas CD vouchers can investigate with confidence.